Water Stain from leaking toilet visible only with FLIR. Putting Technology to its best use for you. 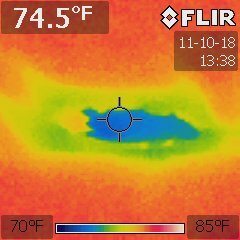 FLIR Thermal Imagers are among some of the tools we use to help diagnose existing and potential problem within the structures Such as this image of an unidentified water leak. Residential structures and first time home buyers are the bulk of what we do. With over 1000+ possible things we look for during the inspection we ask you to walk with us as we identify areas of concern and explain what its going to take to keep up your new home. 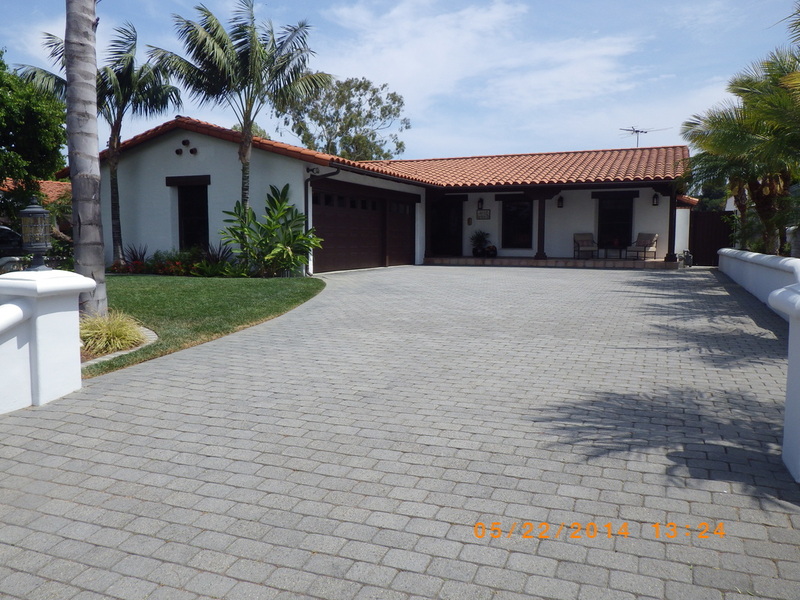 From San Clemente to the Inland and San Fernando Valleys and from a Condo to "Million Dollar Listings". We have done them all! Commercial Properties from Multi-Unit residential structures to Shopping Centers with Major anchor stores, Our team of trained, certified and experienced inspectors will provide you with prompt and professional service. We send out a TEAM of Inspectors to your potential acquisition so you can save time and make decisions sooner. The reports generated after the inspection is easy to follow and read. Concerns are listed by category and identified with photographs within the report. Delivered as a web link, your full report, as well as a summary view, is online and can be viewed by those with access to the link. A PDF version of both reports is also available from the hyperlink sent to you via email.